Citizen Finedevice Co., Ltd. (Head Office: Fujikawaguchiko-Machi, Minamitsuru-Gun, Yamanashi Prefecture; President: Ryuzo Kondo; hereinafter “Citizen Finedevice”) announced today that it has jointly developed a Head mounted display module for augmented reality (AR)/mixed reality (MR) glasses with two other companies, Hitachi-LG Data Storage, Inc. (Head Office: Minato-Ku, Tokyo; President & CEO: Min Byung Hoon; hereinafter “HLDS”), and Analogix Semiconductor, Inc. (Head Office: California, U.S.; CEO: Kewei Yang; “Analogix Semiconductor”). This module is scheduled to be exhibited at a private show in Las Vegas, U.S. from January 8, 2019. 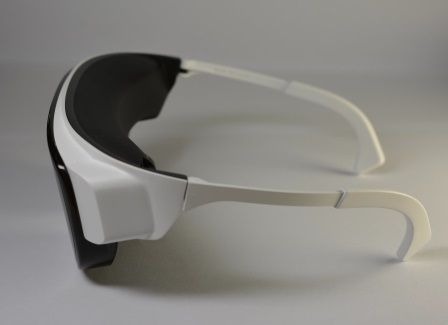 Head mounted display (hereinafter “HMDs”) for AR/MR is expected to be used in the field of entertainment for enjoying video games and video content as well as in the field of business support tools. However, development of the three major element technologies necessary for the commercialization of HMDs, namely video display technology, optical control technology, and signal processing technology, requires a lot of effort and time, because the development may take a couple of years starting from the selection of the components. To address this issue, Citizen Finedevice has jointly developed an HMD module with two other companies, HLDS and Analogix Semiconductor, integrating the video display, optical control, and signal processing technologies developed by each. This module is configured as the basic model capable of displaying images merely by inputting video signals from a personal computer or smartphone via USB-C cable. 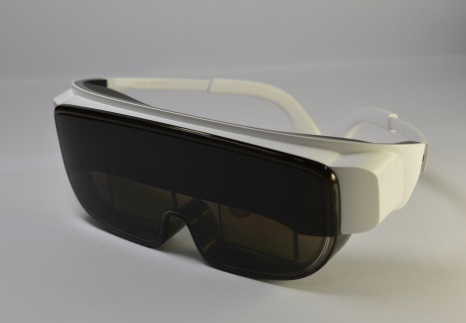 Moreover, it is designed to have high extendibility to implement the variety of functions desired by customers, and is capable of reducing the period from development through production by one or more years for AR/MR headsets that satisfy the device manufacturers’ or system integrators’ needs. In addition, this module is primarily provided as a basic model for the development of specific products and systems, but three engines can be individually provided. Samples of this module will be shipped starting from January 2019. The micro display showing video images includes ferroelectric liquid crystal on silicon (FLCOS) (display area: 0.24 in. : 1,280 x 720 pixels), a strength of Citizen Finedevice. This unique FLCOS technology enables the device to be small with high resolution and fast response, and is used in the development of new, high-intensity liquid crystal in HMDs. The low power consuming, lightweight, small module has been achieved while simultaneously realizing high intensity with improvements to the LSI design, the silicon wafer for LCOS, and the driving system. The interface is compatible with MIPI input, which offers faster communication as well as conventional parallel communication input, and this module is an optimal micro display for HMDs. HLDS designs and produces the engine that serves as the optical control unit, which incorporates video display technology and data controller technology. This optical engine boasts advantages such as its use of an optical waveguide capable of increasing the visibility of AR images, which is a technology for implementing high-resolution light source realizing high image quality. These advantages were achieved with the knowhow from designing optical disc drives and other optical systems in addition to precision manufacturing techniques accumulated by HLDS over many years. Analogix provides the signal processing chip-set, the SlimPort ANX7530 display controller in conjunction with the ANX7327, a fully-integrated USB-PD 3.0 port controller with de-mux, to power the AR system. Low power, small footprint, and interoperability with the system are a winning combination that enables reliable and high-performance transmission of video, data, and power at high-resolutions and high refresh rates of 120Hz.